I have recently been trying to eat alot healthier. I struggle as I am that person who doesn't like the texture of most vegetables so I am trying to use them different ways. One reason for me trying to eat healthier is my health, I have a condition where my body doesn't absorb things properly like sunlight (I never ever tan *cries*), food etc... It means I have to try and eat more than I normally would when it comes to fruit, vegetables etc... It has been a struggle as I am trying to find foods/recipes that are quick to make, working full time means less time to prep. 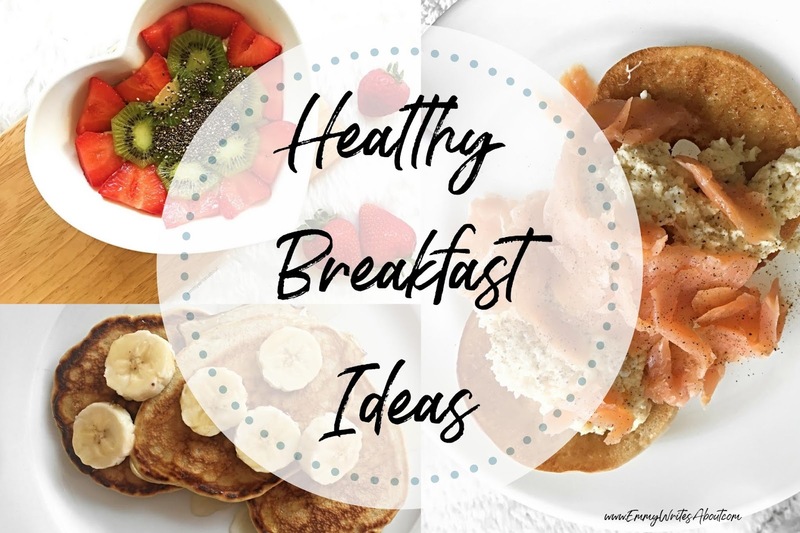 I wanted to do my three favourite quick and easy healthy breakfast recipes. Porridge Oats with Fresh Fruit - Now this is a super easy breakfast and quick but there are ways to make it healthier. Use fresh oats not the pre made porridge pots as they contain alot of sugar. Mix the oats with water instead of milk or I sometimes use Coconut Milk as I don't often have dairy. Add as much water or milk depending on how thick or thin you want your porridge to be. This meal is quick as you can always prep your fruit the night before and then I make my porridge using the microwave to save time. It is such a quick recipe and you can change it up each day using different fruit. This is when I use the oats, strawberries, kiwi and chia seeds. Salmon and Scrambled Eggs on Thin Bagels - Salmon is my weakness I could eat it all day. When making this I always buy the thin bagels rather than the normal ones as they have less calories. Again I use coconut milk with my scrambled eggs as it has less fat in and again I don't really eat dairy. Using this or you can use almond milk. You don't actually notice much difference in taste in the eggs. I always add salt and pepper when making the eggs. Slice the salmon, toast your bagel and add the egg. I don't use butter on my bagel either as I don't need it when you have the salmon and eggs. Banana Pancakes - Some days you want something a little heavier but still healthy right? These pancakes are delicious. Just mix two eggs and mash in a fresh ripe banana. I add a little cinnamon to mine to give them more flavour but you can skip this step and just have bananas. When cooking them use a healthier oil, coconut oil or the spray oils as they have barely any calories. Fry them in a pan for 2 minutes each side until they are golden. They are honestly so yummy! My mum doesn't usually like banana or cinnamon but she loves these! They are extremely quick to make, literally 10 minutes and you and ready to eat.